Any idea if this will be televised and if the bouts will be viewable over the web? If not will you be sure to post the results? 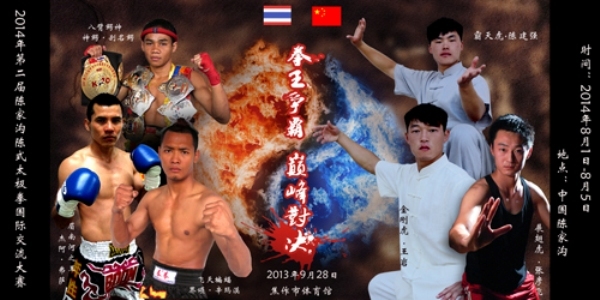 Will this be fought under Sanda, Muay Thai or some other rules format? Out on the Henan plains or in the streets "no holds barred" would no doubt be a different story. It is great for the world to have a chance to see Chen Taiji as a Potent Martial Art as well as its already established place as a viable tool for health and longevity. I have trained in Chen Village many times and have been tossed around by many of the villagers (in a friendly way). It became quite obvious how this art is like a double edged sword (unknown to many both here and China-outside of Chen Jiagou). One edge for health and one for martial and worthy to stand up to any other art if the Chen Taiji individuals has been trained properly. Chen Taiji can also be practiced deep in to the players later years with success unlike most other external martial arts. I am a student of Master Zhu Tiancai and have tasted the strength of Taiji. I have hosted Master Chen Bing here in the states and have personally experienced his extremely high and practical martial skill level. To all the Chen Taiji Competitors - as they say in China "Jiayou Jiayou" which is the Chinese word for something like - give great effort - Basically what the spectators would shout out to support those engaged in the competition. Should be interesting. Yes it will be televised on China TV. I'm sure we will get to see it shortly after the event. I've been told that it will be fought under International K1 rules. Some of the Chen guys are very experienced fighters. Chen Ziqiang has been preparing them for quite a long time, sending his teams out to get experience fighting sanda guys in China. 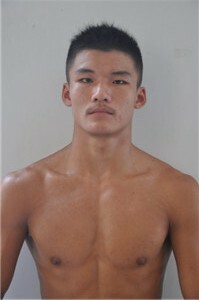 I'm specially looking forward to watching Chen Jianqiang - very strong fighter. finally, been waiting to see "the original" tai chi people fight, most full contact fighters like myself come from the Yang school, while all the Chen people talk about how they are the original amd more 'combative' style of Taiji. I hope the chen representatives are accustomed to fighting as well and not just push hands and wrestling because if thats the only thing they have, they have a high chance of losing unfortunately and i hope that doesnt happen. where will this be televised...? If someone finds a live satellite or internet feed please let us know. Thanks. It will be a good match to watch. When I watch a match it makes me sad to see the how sportsmanship has changed. I found this great video of a instructor demonstrating tai chi, I particularly enjoy his sportsmanship philosophy. 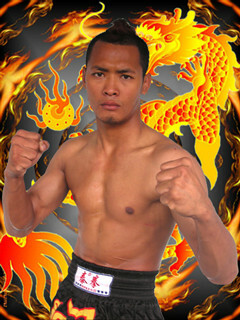 martial artist is different to martial fighter. hoping that chenjiagou have prepared their martial fighters. How would you define a martial artist and a martial fighter? For me, martial artist is a artistic description, similar to the concept of Gong fu. A person who practices to perfection, technique and skill. Whether it be with a pencil or a pair of gloves is a artist. You seek to understand every element and put them into practice. Through success and trial you gain mastery. This is a artist. A martial artist seeks to perfect his art in whatever style they seek to master. A martial fighter, is someone who fights. Anyone can fight. Anyone can brawl. Fighting requires skill and training. Is there a site where we can view this? Love to find some footage if anyone can find a link?? chen style won 3 matches out of 5 making them the winners, who has a link to some video ? The Chen guys won 3-2! As soon as I get hold of link I'll put it up here..
Didnt take long for people to say it was rigged. I'll reserve judgement untill I get to see some video. Off-topic: The MayweatherVsPacquiao Megafight is on May 2,2015. Tickets, exuberantly priced are still selling like hotcakes! I guess that's price paid for wanting to get this fight a reality! May 2 Pacquiao Vs Mayweather Megafight will be epic, that's for sure! Tank you for your outstanding post. 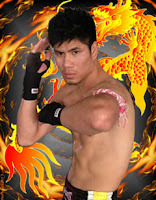 Actually there are few academy or school where we can learn MMA/ Muay thai boxing. 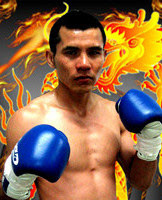 If you searching for well equipped and experienced master for Muay Thai boxing then check out Boxing in Connecticut. Vote, Share or Post your Opinion anything about boxing in Crowd View Point. OT: Manny Pacquiao is still the man! Watch Manny Pacquiao hitting the heavy bags at the official Manny Pacquiao Youtube Channel now! Can not get the game or tv? Join our website to watch all the boxing matches from anywhere or any devices. Don't hesitate just join to watch all the boxing matches from anywhere.Just join our blog and enjoy the live matche in HD.